The Wharf Amphitheatre, located on the sunny shores of Orange Beach, AL, has been the home to some great summer concerts for music fans in the Gulf Shores area of Alabama and continues to bring in big names each and every year. In recent years, bands and artists that have played the venue include the following notable names: Widespread Panic; Kid Rock; Miranda Lambert; Kenny Chesney; Jason Mraz; Kings of Leon; Jason Aldean and Yes. As you can see, the venue is a popular destination for some of the biggest names in country music today and that will continue this year as well as Chesney and Eric Church have already played the venue in 2013. The remainder of the concert schedule at The Wharf Amphitheatre as it stands today features the following concerts: Lady Antebellum on May 26; Brad Paisley on June 15; Alabama on July 5 and Dave Matthews Band on July 23. Tickets for all concerts at the The Wharf Amphitheatre this summer can be found right here at SeatGeek. 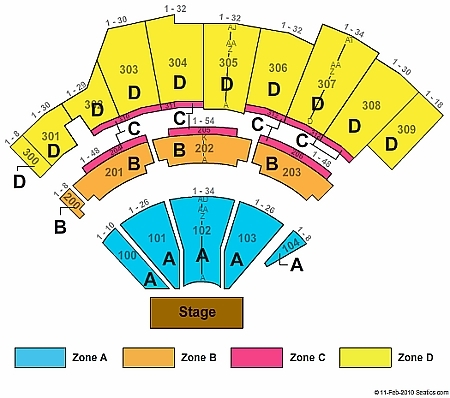 For a look at the seating chart for concerts at The Wharf Amphitheatre, check out the image below.